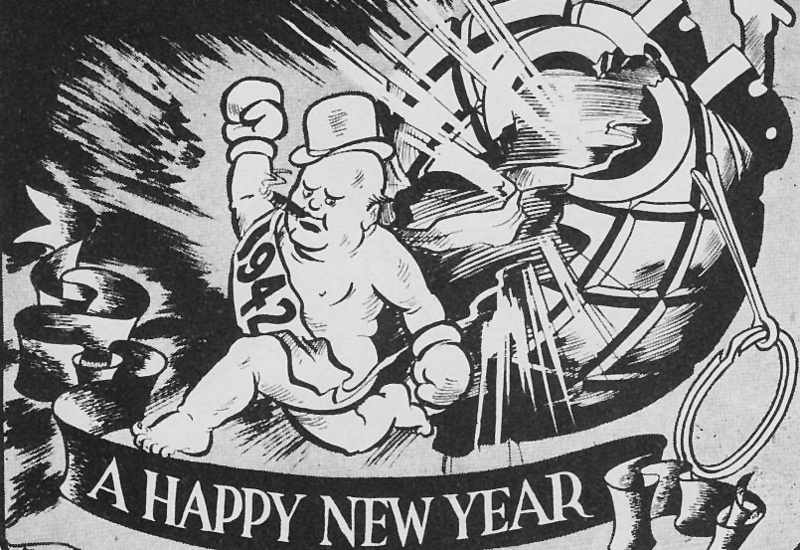 Happy New Year 1942: Where was Churchill? Answer: Unex­pect­ed­ly (because I don’t know many of his end-of-year pro­nounce­ments), I do. Don’t tell me you were born on Jan­u­ary 1st. If you were, Churchill might have been hurtling past Nia­gara Falls vir­tu­al­ly at the same time!